StartUp Cup® is on a mission to change the world through entrepreneurship by unleashing local innovation to drive global prosperity. StartUp Cup operates a portfolio of proprietary entrepreneurial programs in over 60 countries offering end-to-end programing that generates predictable outcomes accelerating entrepreneurial ventures, creating jobs, and building local and regional entrepreneurial ecosystems. 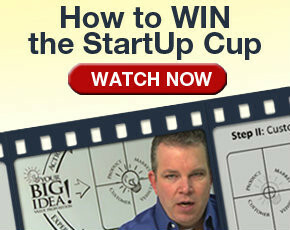 70,848 – The total number of entrepreneurs StartUp Cup has engaged; $640,722,803 – The total economic impact generated by StartUp Cups. Business leaders, professionals, professors and community members are provided with the tools and techniques to drive this competition and create a culture of startups and entrepreneurship in Armenian community. Every step in Armenia StartUp Cup Challenge process is designed to maximize promotional opportunities, support entrepreneurial growth, and expand business and community connections. 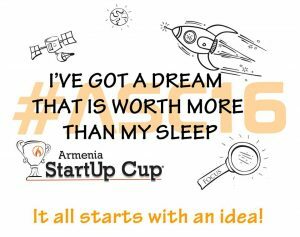 Entrepreneurs Growing Entrepreneurs | Armenia StartUp Cup’s leadership is made of entrepreneurs who are dedicated to changing the world and putting a dent in Armenian entrepreneurial ecosystem. Focus on the 98% | Armenia StartUp Cup Challenge is open to any type of business idea, specifically targeting the underserved majority of startup businesses that lack experience and the resources. Only 2% of all startups having a business model, experienced team, connections, and are able to raise money from investors. 98% of all startups do not. Visual Thinking Tools | Armenia StartUp Cup Challenge has a collection of self-guided visual thinking tools, that act like Legos, building on each other as they guide entrepreneurs from any background or educational level from vetting an idea to scaling the next big idea. Entrepreneurial Ecosystem Building |Our focus is on increasing the quality and quantity of entrepreneurs that are highlighted as the heroes of our community. The result is an increase in the number of entrepreneurs starting and building their growing businesses and developing Armenia.